Empress hotel to fish and chips at the pub. A high ratio of restaurants to residents means there are many more options than British fare, however, including a robust Chinatown. A large number of retirees contrast with multiple universities bringing student culture to town, while the relatively small downtown is packed with nightlife and modern cafes. into the mountains for some skiing). Summer’s ample sun and temperatures in the low 70s (21-23C) mean that Vancouverites and tourists alike head outdoors to get a tan on the city’s beautiful beaches and participate in myriad festivals and events. Spring and fall are a little cooler, with temperatures ranging from 48-65F (9-18C), but you can still take a walk in Stanley Park, kayak in the English Bay, and get much better deals on lodging. Victoria is a beautiful area. I took the ferry here from Vancouver and explored and loved it here! Cute little port town that prides itself on being more British influenced than not. High Tea at the Empress Hotel is a popular activity amongst tourists and locals, although it is slightly overpriced, the building itself is beautiful and right on the water. Other than that, there are a few local shops and restaurants to visit before you get back on your cruise ship to sail on. It's an enjoyable place to visit if you want to immerse yourself in a slower pace of life and enjoy the feel of being in a small British-style town while having access to contemporary cuisines. Victoria is, in one word, BEAUTIFUL. Stayed there for 4 days during end of July 2013 and fell in love with the place. Whether it is the inner harbour, the Butchart Gardens, Beacon Hill Park or just the overall feel and vibe of this place, it is just magical. The weather is awesome, the people are friendly and the city is full of blossoms. Victoria should be called the city of flowers. I've never seen as many flowers anywhere else. The food was a little disappointing at a couple of restaurants I tried, but other than that I love everything about this place. If I ever win a lottery I'd go and live here overlooking the ocean. Victoria is a beautiful city. Visitors from around the world choose our city for a wonderful location. We live here and love Victoria. Temperate climate year round. 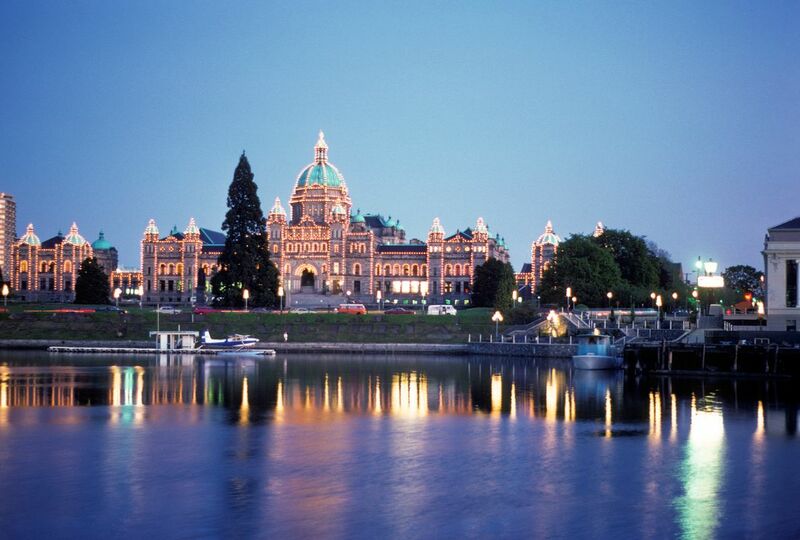 We have it all lots of great restaurants, Victoria Symphony, Museums, great parks right in the city and shopping. A short drive takes you to spectacular nature with mountains and the ocean. The provincial capital has an interesting mix of a vibrant student community, retirees drawn to its mild climate, those associated with the government. Its claim to fame is being the most British city in North America. You can visit the city in a day from Seattle or Vancouver but an overnight stay is useful for a more relaxed pace. Be aware that most places shut down at 5pm. Highlights include afternoon tea, Butchart Gardens, & the provincial legislature.